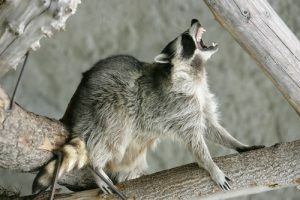 Raccoons are notorious for their habit of overturning garbage cans in search of food, but many people fail to realize that they are found inside of home nearly as often as rodents and other invasive critters. This is due in part to the rapidly growing size of Orlando, and the fact that homes provide perfect shelter and an easy source of food and water. Their highly developed senses and incredible dexterity with their paws allow them to easily break into homes, where they often wreak havoc due to their larger size. The key to preventing damage to your home is getting the raccoons out quickly, and the key to that is learning the signs of their activity. Keep trash cans locked or inside your garage, make sure pet bowls are brought indoors, and be sure to keep branches trimmed away from the side of your home to discourage raccoon activity further. At Critter Control® of Orlando, we’ve created and perfected a four-step process that allows us to remove any nuisance animals from your home, repair any damage they may have caused, and prevent future infestations, all while keeping your loved ones out of harm’s way. For any questions about our raccoon removal services, or to schedule a consultation, call us today at 407.295.7194.